(CIM). Originally CIM was software you installed onto your computer. 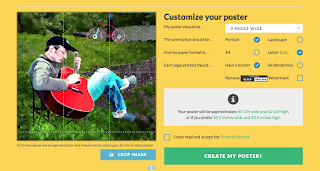 CIM allowed users to create customized learning materials relatively quickly using personal photos, symbols, text, and sounds to create any cause & effect or choice making activities you could imagine. The end product would then be used on the computer it was made on. Well, the folks at HelpKidzLearn have made the product more powerful, while also easier than ever to use. Now, Choose It! Maker 3 is an online, subscription based product. You make customized learning materials in minutes which can be accessed by any computer (PC, Mac, Linux) with internet capability, as well as on the free apps available for your iPad or android tablet. 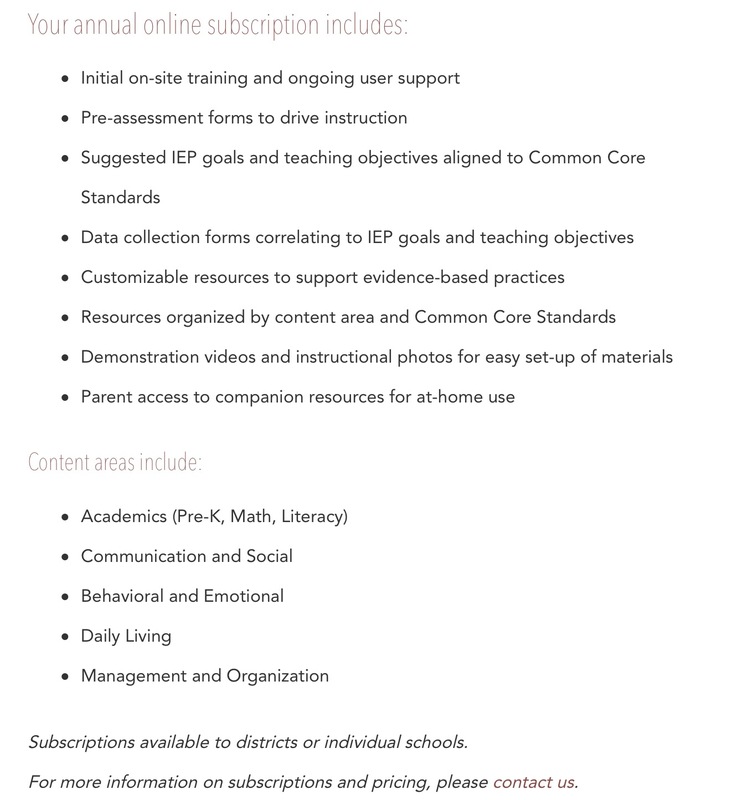 Subscriptions are available for individuals or larger organizations. District: available based on size of district. Hey Tek-Ninjas! 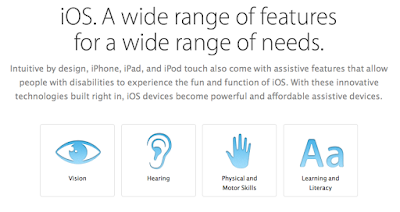 Many of you are already familiar with the built in features of the iDevices (iPhones, iPads, and iTouches). 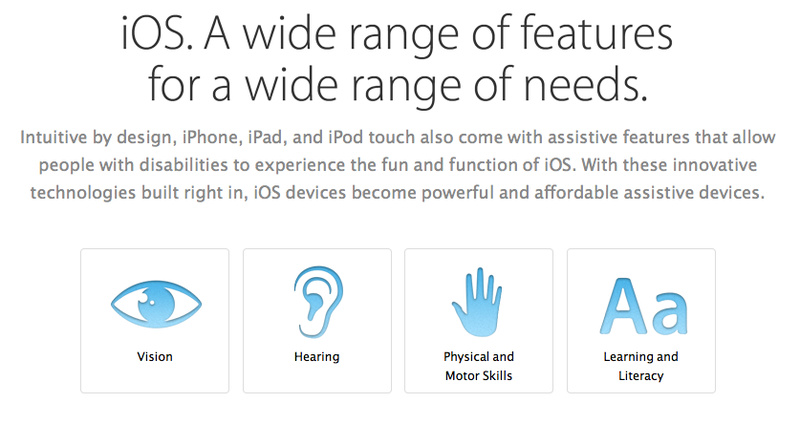 But just in case you haven't seen the latest bells and whistles, I want to direct you to Apple's very helpful page. This "stuff" is amazing, and all part of your iDevice! 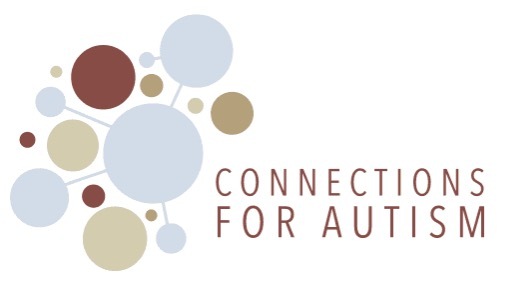 These devices offer great supports for folks with issues around vision, hearing, motor skills, and learning and literacy. Make sure you are maximizing your technology's potential. Hey Tek-Ninjas! Most Occupational Therapist's I talk with are big fans of Jan Olson's Handwriting Without Tears, and not just because she is an Occupational Therapist herself, but the program is excellent, affordable, and spans pre-writing skills, print, cursive, and even key boarding. 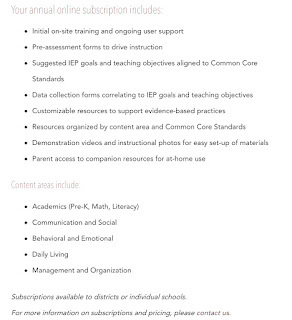 Recently a colleague shared with me HWT's free online resource. This is really terrific, and I wanted to make sure you all are aware of the site, regardless of whether or not you use HWT, there is some great stuff here. Hey Tek-Ninjas! Let's talk about keyboarding a bit. I typically don't jump into keyboarding instruction until sometime in the 3rd or 4th grades. Occasionally, given compelling reasons, I may start earlier. The biggest predictor to keyboarding success is consistent exposure. I will generally recommend 10-15 minute skill drill 3-5 days per week, with the idea that learning to keyboard is a process. To support this process, I want to tell you about a free online typing site. 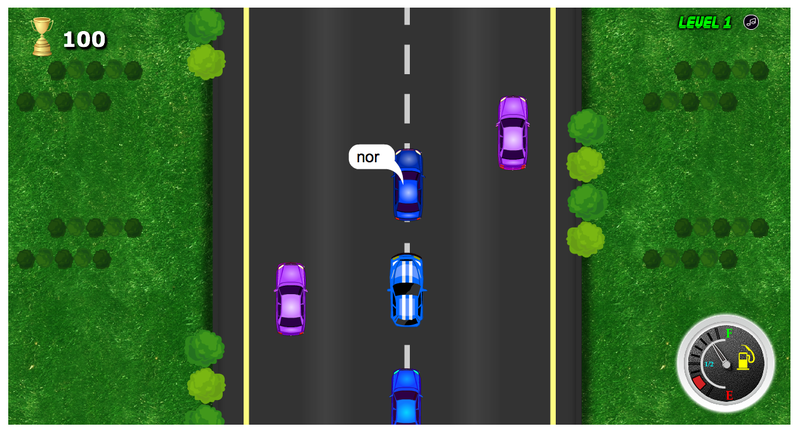 KidzType is an amazing site filled with great instruction and games for reinforcement. 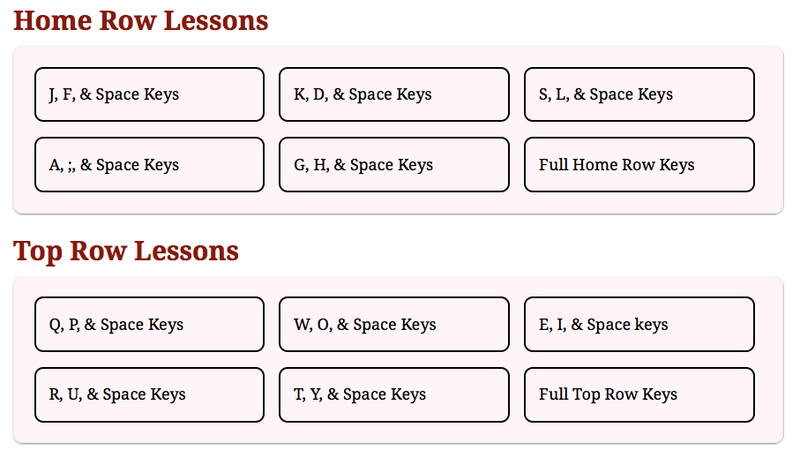 KidzType touts the benefits of touch typing, and that is the focus of the instruction. However, even for folks who are entrenched in a hunt & peck method, or single handed typing (secondary to a physical issue) the site can help users increase both speed and accuracy. Remember, if you are keyboarding on an iPad, most folks benefit from an external keyboard. Also, because the site is Flash based, iPad users will need a Flash enabled browser such as Photon.